CLOSEOUTS. 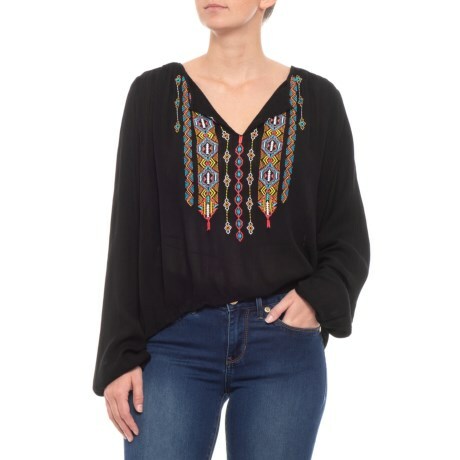 Beautiful embroidery, crinkle fabric and a flattering V-neck make Rock andamp; Roll Cowgirland#39;s Crinkle Gauze blouse a creative top to pair with jeans and your favorite boots. Available Colors: BLACK. Sizes: XS, S, M, L, XL, 2XL.